The maker of a children's applesauce product is recalling some of its snack packs after mold was discovered in some of its products. 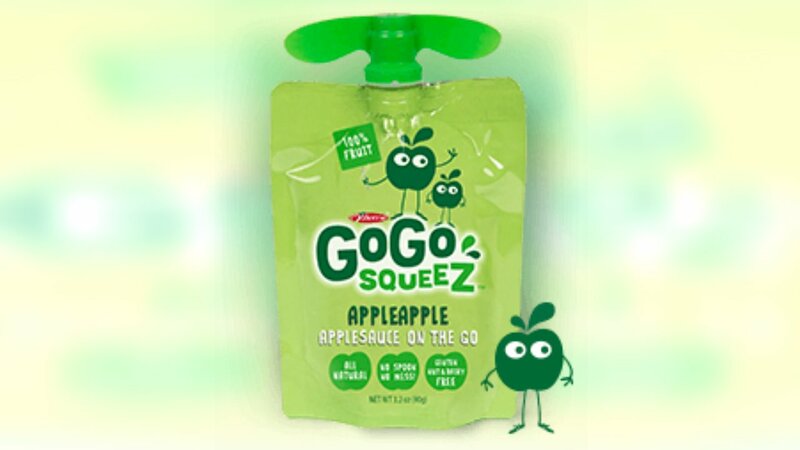 GoGo squeeze said the recall only affect some of it pouches, and it was able to catch most before they got to the stores. However, the affected pouches that may have made it to store shelves will have a "Best Before Date" of between 6/30/16 and 7/26/16. The company said it identified an issue in its recent production that led to the development of some common mold. It said this mold is similar to what can form on fruit. "An independent lab tested the mold, and an expert microbiologist determined that it poses no known health risk. However, we know mold is gross and unpleasant to look at or taste, and this is simply not the kind of experience we want you to have," GoGo said in a letter to customers. The company has set up a phone line for questions at 1-844-275-5841. GoGo also posted additional information in the letter on its website.